Home > Events > Fall Fest 2018! 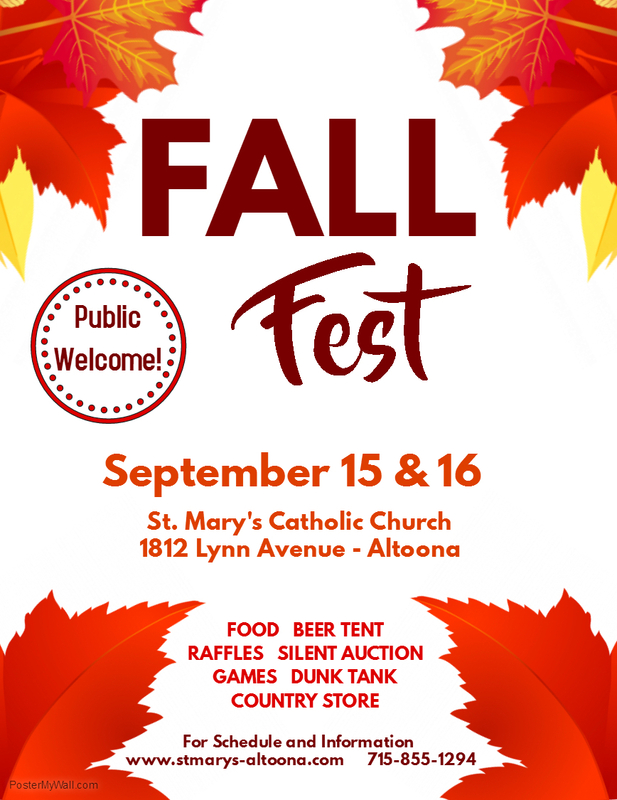 All are welcome to join us for St. Mary’s annual Fall Festival! Would you like to volunteer for this year’s Fall Fest? Click the button to see the available positions!